A JUDGE jailed a teenage motorist for careless driving causing the death of a 16 year old girl as he warned that some Irish drivers, particularly young men, were treating public roads like their own personal race tracks. Judge Eugene O'Kelly jailed Edward O'Shea (19) for 14 months after he noted that the victim, Kate 'Katie' Murphy (16), had sent a Snapchat video to a friend just seconds before the fatal Waterford collision in which she said they were: "Probably going to die in the car." An unidentified male voice replies: "Yeah, probably." A female voice then commented: "Cheeky - going over the speed limit." An unidentified voice replied: "Cheeky - going twice over the speed limit." A Waterford Circuit Criminal Court jury was not shown the social media videos during the trial because they were deemed to breach the hearsay rule. Judge O'Kelly said Ireland now had to review such real-time video evidence from social media in the trial context. In jailing O'Shea, he said the careless driving was at the upper end of the scale. He also said it "beggars belief" that O'Shea, a learner driver, could treat such a powerful car as his own. "Some drivers, particularly young men, treat the roads as their own private race tracks and do so without any regard for the potentially catastrophic consequences for other road users and indeed for themselves," he said. Judge O'Kelly noted that the so-called Clancy Amendment about unaccompanied learner drivers could not apply as the Tramore collision occurred before it was passed into law. However, he noted how O'Shea had been driving a powerful and modified Japanese car unaccompanied. "Such driving is not only illegal it is dangerous." The heartbroken Murphy family claimed they lost their only daughter in the fatal road traffic accident because O'Shea, driving while unaccompanied on a learner permit, lost control of a powerful modified Japanese car while showing off to his friends. Edward O'Shea, who is now 19, was jailed for 14 months after being convicted before Waterford Circuit Criminal Court of careless driving causing death and careless driving causing serious injury. He was acquitted by the jury last February of dangerous driving causing death. 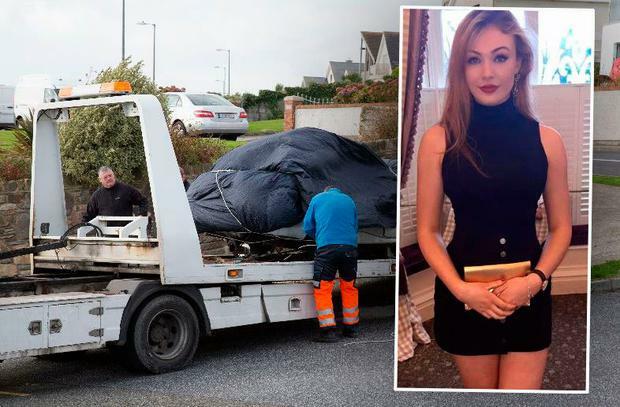 Kate 'Katie' Murphy (16) died when the Japanese car with a specially lowered suspension, being driven by O'Shea, spun out of control and collided side-on with a wall outside a Tramore housing estate on October 5 2016. The car also had low profile tyres and a side skirt. The accident area was covered by a 50kmh speed limit but, because there were no brake marks, it was impossible for Gardaí to determine what speed the Toyota was travelling at. Forensic experts were only able to determine the car finally hit a stone wall side-on while travelling at around 32kmh. However, locals had noted the sound of a car travelling at speed that day along the winding Cliff Road. One woman was so alarmed by the sound she got out of her armchair in her home to investigate - and seconds later heard the sound of the impact. Two other teenage occupants of the car, Joseph Walsh and Jessica Fynn, suffered horrific head and chest injuries in the accident at the Cliff Road, Newtown outside Tramore. 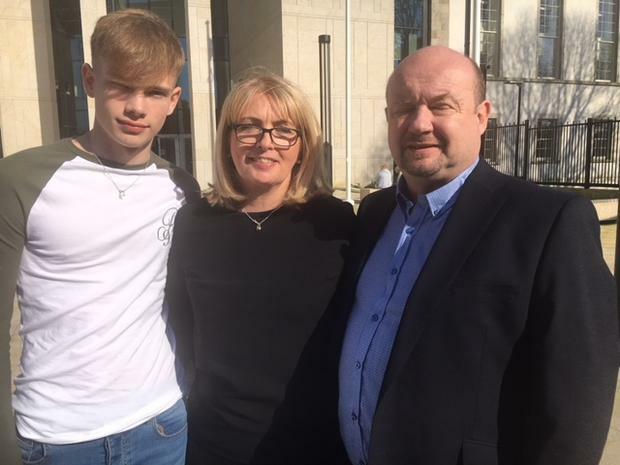 Ms Murphy's heartbroken parents, Hilary and Vivienne, said their lives have been devastated by the loss of their only daughter in a crash which they insisted was entirely avoidable and due to O'Shea's carelessness. The imported Japanese car, with a twin-cam engine and a specially lowered suspension, was registered to Edward O'Shea's family garage, run by his father, Michael, and he was driving under a garage insurance policy that day. Judge O'Kelly noted the fact. "It was extraordinary and blatantly irresponsible for the O'Shea Garage business to facilitate the driving of such a car (by a young learner driver)," Judge O'Kelly said. Katie's father said they were convinced about what happened. "In my view, we lost our daughter because Mr O'Shea was showing off driving a high powered car," Mr Murphy said. The Tramore father described Edward O'Shea as "a very cold-hearted person" who had not spoken to his family, sent a letter, card or flowers over their daughter's death. "He has destroyed our lives." Mr Murphy urged Judge Eugene O'Kelly not to adopt a "soft touch" approach to sentencing and to take the opportunity to send out a deterrent message to other Irish road users. Mrs Murphy said the tragedy was every parent's worst nightmare. "Her death is my past, my present and my future," she sobbed. "Edward O'Shea's selfish and careless actions have taken away my only daughter. "Katie's bedroom door (in our home) is my biggest nightmare. It holds hope but there is no hope to be found." Mrs Murphy said that people are now afraid to look in the face of herself and her husband lest they see "every parent's worst nightmare." Mr Murphy said they have launched a road safety campaign in their daughter's memory - and urged young people worried about a driver's speed to have the courage to demand to get out of the vehicle. O'Shea, who appeared in court wearing black slacks and a navy shirt and tie, sat with his head bowed as victim impact statements were delivered by Katie Murphy's parents and her brother, Scot. The defendant, in a letter handed in to Judge O'Kelly, apologised for what his careless actions behind the wheel that day had inflicted on three families. "If I could change what happened believe me I would change everything," he said. The court heard that O'Shea now suffers from survivor's guilt, depression, anxiety and post traumatic stress disorder over what happened. He has been attending a counsellor for over two years and had been subjected to social media condemnation over what had happened. "I hope that one day you (the Murphy family) will be able to forgive me but I want you to know that I am truly sorry. "So many people have been affected by my bad judgement that day." The parents of Joseph Walsh, John and Phil Walsh, handed in a letter in which they said they hold no ill will towards the car driver. O'Shea was found not guilty by a Waterford Circuit Criminal Court jury last month of dangerous driving causing death and serious injury. He had offered a plea to careless driving causing death and serious injury before the trial started. O'Shea, an apprentice mechanic, was 17 at the time of the tragedy but is 19 now. He had been driving on a provisional license for just five months when the tragedy occurred. Ms Murphy, of Castlewoods, Ballinamona, Waterford was a rear seat passenger in the car along with her friend, Jessica Flynn. O'Shea of Magnh, Fenor, Waterford was convicted of careless driving causing death and careless driving causing injury. He was disqualified from driving for six years and fined €800. Tom Tuite Irish Water is being prosecuted in connection with a fishkill in the Tolka River in Dublin. Shane Phelan The jury in the Tipperary "love-rival" trial will resume its deliberations this morning. Aodhan O'Faolain A 15-year-old girl who was being pimped to men by her girlfriend for money and drugs has been placed in a secure facility by Tusla, the Child and Family Agency (CFA).